Get an email notification when our next podcast episode is available! Has there ever been a moment in your life when you thought “I could never do that in a million years!”? What if instead, you believed that you could? What would be possible if you pushed past your self-limiting beliefs and decided to show up big in every aspect of your life? 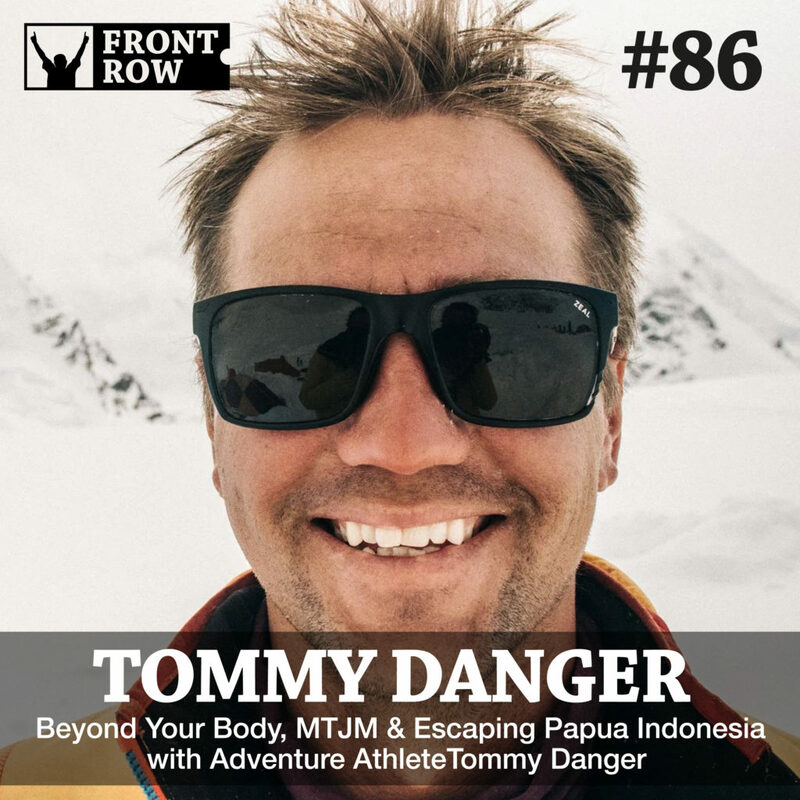 Today’s conversation is with my good friend and adventure athlete, Tommy Danger, who will inspire you to push your life to the ultimate limit! Tommy learned in his mid 20’s that life wasn’t about the money you make, but the lives you change. Through his love of adventure he founded a non-profit foundation called More Than Just Me that uses adventure projects to raise money and drive awareness for important causes around the world. He is currently in the middle of his third project called More Than Just Mountains where he is climbing the Seven Summits (the highest peak on each continent) with two of his close friends to raise awareness for Cystic Fibrosis. It’s been almost 10 years since Tommy made a massive change to his lifestyle and since then he has biked from Los Angeles to Boston, ran from Seattle to Daytona Beach, and has completed four of the Seven Summits. He currently lives in Park City, UT with his beautiful wife Alyx, their pup Boo, and a little Danger baby on the way. 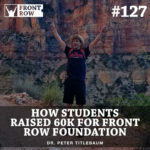 In this exciting discussion, Tommy shares the lessons he’s learned through his many adventures and exactly how he’s using them to positively impact the world. He walks us through his incredible trek through Papua, Indonesia and how he barely made it out alive. The journey included everything from hiking through tropical jungles and traversing through rivers, to climbing steep cliffs and negotiating with tribal chiefs. If you want to learn how to turn your biggest dreams into reality, push your body to unimaginable limits, and make the most out of each and every moment that life has to offer, you definitely won’t want to miss this convo! [08:22] Where did his incredible sense of adventure come from and what exactly is the story behind his nickname, Fat Tommy? 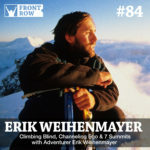 [12:20] Hear about his first big adventure, biking coast-to-coast from California to Boston, to raise money for at-risk teens. [15:00] The importance of believing that YOU can turn your dreams into reality. [16:30] Learn how More Than Just Me is using adventure to bring awareness to important causes. [20:15] How to see the positive side of anything, find your internal happiness and change the world in the process! [24:40] His crazy adventure to run across the US (20 miles per day for 6 months) and the single moment that made all the blood, sweat and tears 100% worth it. [30:20] Find out how the More Than Just Mountains project is helping to drive awareness to those affected by Cystic Fibrosis. [32:50] Learn how to tap into the power of your mind and push your body to the ultimate limit. [40:20] The story of how he barely escaped from a remote location buried deep in the heart of Papua, Indonesia. For iTunes listeners, get automatic downloads and share the love by subscribing, rating & reviewing here! #156: Do A Day: Are you Playing to Win, or Not to Lose? 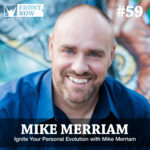 The Front Row Community is a group of passionate, kind, authentic individuals who value making the most of every moment by living big and giving big. If you value personal growth, building awesome relationships and contributing to the world, welcome home! Check out our Front Row Community page on Facebook. Want to crush your fears and create epic moments starting today? Get a free 5 min training video now.